Be careful! 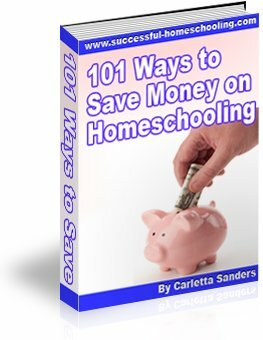 Once you are aware the ways homeschooling benefits children and families, there is no turning back. Let's take a look at the benefits of homeschooling. Homeschooling centers life on family - not school. When children are in school, relationships with teachers and friends compete with loyalty to parents and siblings. School schedules and homework assignments take priority over family time, and children may be taught values that conflict with those taught in their homes. Homeschooling allows families to operate as teams. Moms and dads are confidants. Siblings are best friends. Schedules are set according to the family's needs, and children are taught their parents' values. At home, decisions meet the needs of the child - not the needs of a classroom or school system. Children are treated as individuals, and are truly known and loved. Homeschooling provides a safe learning environment. No one would fault a gardener for shielding a seedling from the frost, yet parents are often criticized for sheltering young children from the teasing, bullying and negative peer pressure that occurs in public schools. Public school students are exposed to verbal and physical assault, drug abuse, and sexual misconduct. While it is true that some students escape unharmed, why take the risk? Children who learn at home do so in an environment free of mental, physical and emotional abuse. They are given time to grow the roots they need to stand during life's storms. Homeschooling results in a superior education. Even public school officials believe parents should be involved in their children's education. Yet many parents go no further than signing report cards and asking, "What did you learn at school today?" At home, parents assess their children's strengths and weaknesses, and provide an education suited to their children's learning styles and interests. Homeschooling statistics show that this tailored environment produces academic achievement that is superior to that of public schools. Homeschool graduates leave home with the tools to learn and a love for learning. They spend their school years thinking and exploring - not memorizing facts that are forgotten soon after the test. If the above homeschooling benefits weren't convincing enough, here are an additional 101 Reasons to Homeschool Your Kids.